Description: Originally a Zoroastrian symbol of life and eternity in Persia, the paisley became a symbol of cultural exchange as it has been used just as much in the west as it has in the east. 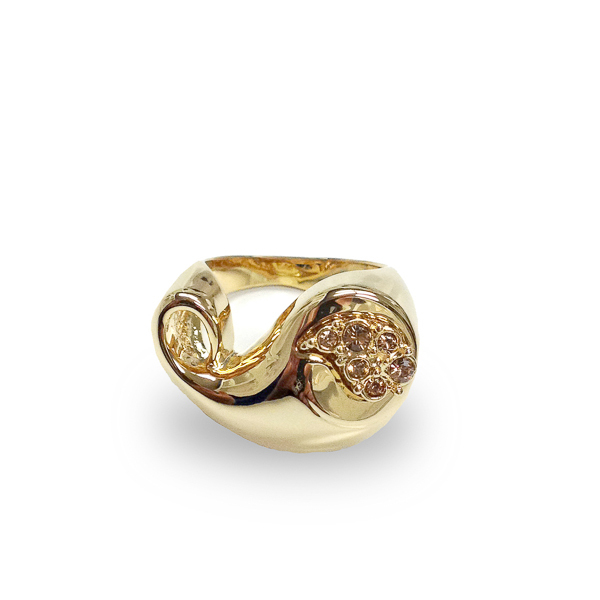 This paisley ring features a 14k gold plated high polish light catching body with a small cluster of crystals. Material and Measurements: 14K Gold Plated Base Metal, Crystals - Focal Point 1" X 3/4"
Enter Quantity for R-AE065-YG to add to your shopping cart.